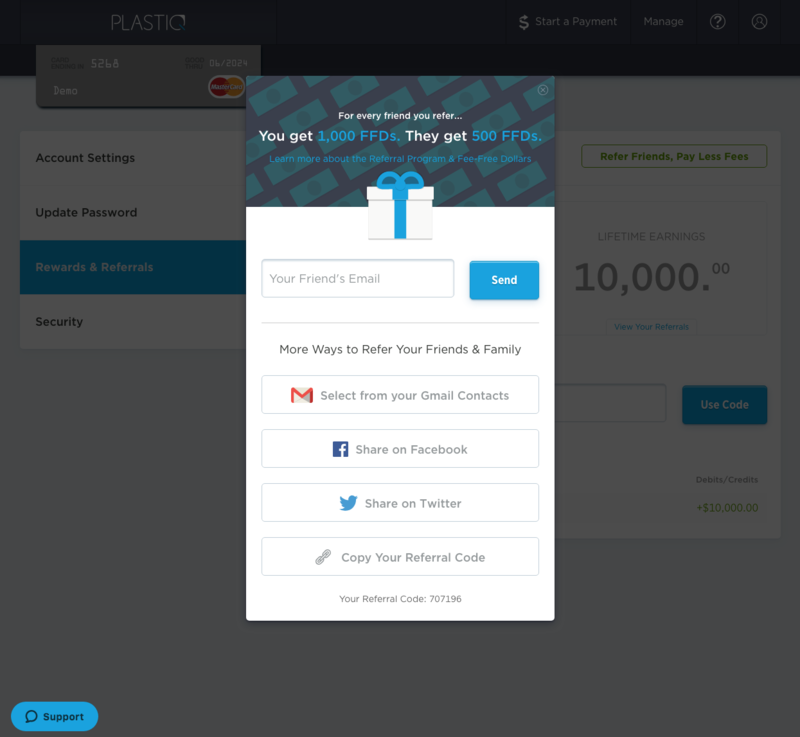 Get rewarded for sharing Plastiq with your network! When your friends, family, colleagues and/or businesses sign up with your custom link or code and make payments totaling $500, they will receive 500 FFDs and you will receive 1,000 FFDs. Fee-free dollars are rewards you can apply to payments for a lowered Plastiq fee.For example, if you have 1,000 FFDs, your next payment or payments totaling $1,000 will not be charged the Plastiq fee. 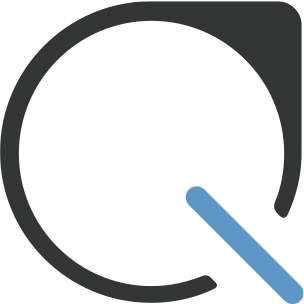 Anything over the $1,000 amount, will be subject to the Plastiq fee. Send your referral your link or code. To find your link or code, click here and select “Refer Friends, Pay Less Fees”. Your referral must sign up with your code or link. If your referral signed up and did not apply your referral code, click here to add it. NOTE: Your referral must apply your code prior to making their first payment. When your referral makes a payment or payments totaling $500, they will earn 500 FFDs and you will earn 1,000 FFDs. Crediting of both accounts may take up to 2 business days. Share your custom link in a variety of ways directly from your Plastiq account including your email account, Facebook and Twitter. You can also view your FFD earnings and balance all in your Rewards & Referrals section of your account.